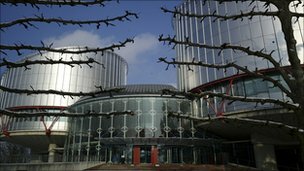 The European Court of Human Rights has ruled that Irish abortion laws violated the rights of one of three women who sought terminations in Britain. The woman, who was in remission for a rare form of cancer, feared it might return as a result of her pregnancy. While abortion in the Republic is technically allowed if a woman's life is at risk, the court said that was not made possible for the woman involved. But it ruled two other women in the case had not had their rights breached. The court said the Irish government had failed to properly implement the constitutional right to abortion if a woman's life was in danger. Correspondents say the ruling is likely to force the Dublin government to introduce new legislation or bring in new guidelines. Irish Prime Minister Brian Cowen said politicians now needed to consider the implications of the ruling. "It's an issue for the whole political spectrum to consider," he said. The first two women in the case were a single mother who had other children in care and a woman who did not want to become a single parent. All three women said they had suffered medical complications on returning to the Irish Republic and said they believed they had not been entitled to an abortion under Irish law. They all complained that Irish restrictions on abortion had stigmatised and humiliated them, risking damage to their health. However the third woman had argued that even though she believed her pregnancy had put her life at risk, there was no law or procedure for her to have her right to an abortion established. The court said that the government in Dublin had breached the third woman's right to respect for her private life by its "failure to implement the existing constitutional right to a lawful abortion in Ireland". It ruled that "neither the medical consultation nor litigation options, relied on by the Irish government, constituted effective and accessible procedures which allowed the third applicant to establish her right to a lawful abortion in Ireland". The court said that the only non-judicial way of determining the risk to a woman's life - on which the government relied - was an ordinary medical consultation between the woman and her doctor. It described this as "ineffective". It said that women and their doctors both ran a risk of criminal conviction and imprisonment "if an initial doctor's opinion that abortion was an option as it posed a risk to the woman's health was later found to be against the Irish constitution". The court said Irish constitutional courts were not appropriate for determining whether a woman qualified for a lawful abortion. Under Irish law, abortion is a criminal act although a referendum in 1983 amended the constitution acknowledging the mother's right to life was equal to that of the child. Following several legal cases, the Irish Supreme Court ruled in 1992 that abortion was lawful if the mother's life was at risk. However, the Irish parliament has never enacted legislation regulating the constitutionally guaranteed right. The three women were all supported by the Irish Family Planning Association. They have not been identified, although two are Irish nationals and one is a Lithuanian who is resident in the Irish Republic. The UK-based abortion charity BPAS - which submitted written observations to the court - welcomed the ruling. "The lack of clarity as to when abortion may be lawful in Ireland puts women and doctors in an impossible situation, and the sooner this can be remedied the better," said BPAS chief executive Ann Furedi. Ireland is now under pressure to do what successive Irish governments have avoided doing for almost 20 years - alter its abortion laws. In theory, it would not be a major change. It would simply reflect the judgement of the Irish Supreme Court in 1992 which ruled that a woman whose life was in danger should be allowed an abortion. In practice, defining what constitutes a threat to life for the mother will be a legal minefield. Changing the law would also be a political minefield. Ireland is bitterly divided over abortion, and the Irish government has plenty of other priorities at present with the financial crisis and a general election early next year. The European Court ruling means Ireland must now reconsider its abortion legislation. The current government will be in no rush to do so.